UPDATE 4/7/18 11:30a.m.— Caltrans crews worked through the night on Hwy. 1, and and were able to clear the slide from west of Leggett and re-open the road. Currently, only the 128 remains closed from mile marker 0 (the intersection with Hwy. 1) and mile marker 11. However, as of this morning, Caltrans is reporting that the river appears to have crested and the water is receding. We'll keep posting updates about any changes in road closures or conditions. More rain is expected later today so you can check for current road conditions before heading out at the Caltrans quick map guide or at the California Highway Patrol's incident page; current weather conditions can be found here. You can also call for road conditions at 1-800-427-7623. More details are below. You can also check the CalTrans District 1 Facebook page and the NOAA Eureka Facebook page, as well as the Sheriff's Facebook page, for more info. Ukiah broke the daily rainfall total for the city yesterday, with a total of 2.08 inches falling. You can see some of the regional daily rainfall totals here and below. UPDATE 9p.m. : Highway 20 is now open. UPDATE 8p.m. 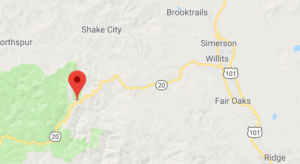 : Highway 20 is currently blocked in both directions about ten minutes west of Willits due to downed tree and an injured pedestrian, according to the CHP incident page. Emergency responders are on the scene and the pedestrian is being transported to medical services for a back injury. The road is currently blocked in both directions. Location of the downed tree on Highway 20, both lanes blocked as of 8pm. There is also a log in the road on State Route 20 at the Caspar bridge in the southbound lane. Earlier this afternoon, a vehicle went off the embankment on State Route 20, and responders may still be in the area retrieving the vehicle. Another vehicle collided with a guard rail near the Ridegwood grade south of Willits. Drivers are advised to take caution on the roads as emergency responders and road workers are on the roads responding to storm conditions and collisions. UPDATE 4p.m. 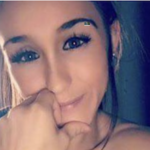 : Hwy. 1* is closed in both directions, about 12 miles south of Leggett, between Leggett and the coast, due to debris and fallen trees. CalTrans announced the closure at about 3:30 p.m. and does not have an estimate for when it will reopen. *Correction: CalTrans public information initially misidentified the highway that was closed, announcing that the 101 had been closed. The 101 is NOT closed. CalTrans has now confirmed that it is instead Hwy. 1 that is closed. Here's some photos of the slide provided by Caltrans. More road conditions are below. MENDOCINO Co., 4/6/18 — A flood watch is in effect for low-lying parts of Mendocino County from now through Saturday evening due to a torrential spring downpour bringing inches of rain to our region. Aside from the potential for flooding and landslides, the wet weather has also resulted in several car accidents around the area. 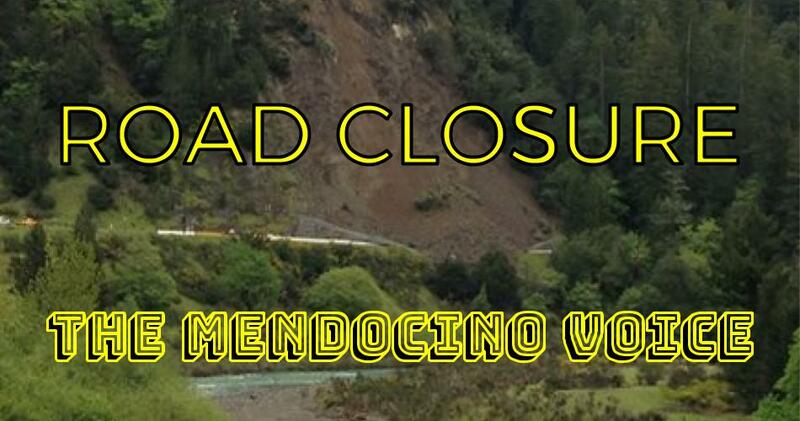 State Route 128 is currently closed at the intersection with Highway 1, and there is a warning issued for landslides and debris flows in the area of the Redwood Fire burn scar. The Mendocino County Sheriff's Office shared a warning from FEMA this morning about the possibility of flooding due to heavy rains throughout the area, especially in northern Mendocino and southern Humboldt counties. Small streams may quickly see water rise past their banks with fast moving water, and both rural and urban roads may also flood. Three to four inches of rain are predicted, with up to seven inches possible in higher terrain. Winds are expected to pick up this evening, and snow levels on Sunday may drop to 4,000 feet, and people are reminded to turn on their headlights and take caution when driving. The county's Department of Transportation will be patrolling throughout the night on Friday, but residents are advised to contact them at 707-463-4263 to report flooding or road incidents. The Russian River near both State Route 128 and State Route 175 have the highest potential for flooding, and the 128 is currently closed between mile marker 0 and mile marker 11. There is also a significant potential for flooding, landslides, and debris flow in the areas of the Redwood Fire burn scar. Residents living in the area are advised that conditions may change quickly. You can check for current road conditions before heading out at the Caltrans quick map guide or at the California Highway Patrol's incident page; current weather conditions can be found here. You can also call for road conditions at 1-800-427-7623. More details are below. You can also check the CalTrans District 1 Facebook page and the NOAA Eureka Facebook page, as well as the Sheriff's Facebook page, for more info. We will continue to update this post with current conditions as more information becomes available. Here's some info below about the current conditions. Is it flooding where you are? Send us your info and photos and we'll keep everyone updated. State Route 128: As of 1:50 p.m. State Route 128 is closed due to flooding from the intersection of Highways 1 (mile marker 0) to mile marker 11. There is no current estimated time of re-opening. Branscomb Road: The eastbound lane of Branscomb Road, past the Red Fox casino outside Laytonville is currently closed after a fire was reported. As of 2:05 p.m., responders are controlling one-way traffic on the scene. There is also a traffic collision with no injuries that took place in the area, and a tow truck is on the way. Highway 1: There are several landslides occurring along Highway 1, according to the CHP incident page. As of 1:55 p.m. there are roads reportedly blocking the entire road on Shoreline Highways just north of the Honky Tonk picnic area. A rockslide is reported in the southbound lane just north of Hardy Creek. There is also flooding in both lanes on Shoreline Highway near the Heritage House resort, just north of Smith Creek. CalTrans employees are on the way but water is currently in both lanes; the culvert has been blocked in an attempt to prevent further flooding as of 12:51 p.m. Flood forecasts: Navarro River forecast to peak at 24 ft at 1 PM on Saturday (Minor flood stage is 23 ft); Russian River at Hopland forecast to peak at 15.8 ft at 10 AM on Saturday (Flood monitor stage is 18 ft, although historically Highway 175 has closed when the Russian River has reached as low as 15 ft). Garcia River forecast to peak at 5.6 ft at 11 am on Saturday (No established flood stage and peak forecast may have larger margin of error due to lack of forecast ability on the river). Today (4/6/18) through Sunday (4/8/18) forecast rainfall amounts in the Redwood Fire burn area may be significant enough to cause localized landslides, debris flows, or flooding in some areas of the burn scar. Residents are urged to monitor conditions in their area for potential risks to property and life safety. The National Weather Service is not forecasting major debris flows, landslides, or flooding at this time, just localized issues. County Department of Transportation will be patrolling the roads throughout the night and public safety agencies will continuously be monitoring conditions. If residents see an issue along the County Roads, call the County Department of Transportation at (707) 463-4363; if it is an emergency call 911. If residents believe there is an immediate emergency or risk to property or life please call 911 and leave the area. If residents believe there might be a potential land slide or debris flow issue, but not an immediate emergency, please reach out to a qualified professionals to request an assessment of the area.